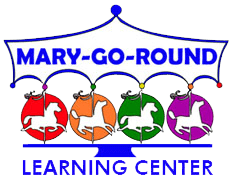 MaryAnn French has owned and operated Mary-Go-Round Learning Center for close to 30 years. Mary graduated from Keene State College with a Bachelor of Science degree in Elementary Education along with an Associate degree in Early Childhood education. Since graduating college, she has taken workshops and educational seminars to keep up in the field of education. When Mary is not here at Mary-Go-Round, she enjoys spending time with her dogs, running and teaching fitness classes. Jillian is married with three children and lives in Hooksett. She has been in the teaching field for 15 years. She has a B.S. in Counseling/psychology at a master’s level. She has been with Mary-Go-Round since September 2015. When she is not at work, she is busy volunteering here in Hooksett, foster parent, scouts, coaching, PTA, etc. Amy received her degree in E.C.E. from GSC and has her credentials at master teacher level one. Amy loves the outdoors and nature. She is passionate about sharing her love and knowledge of the natural world with all of her students. 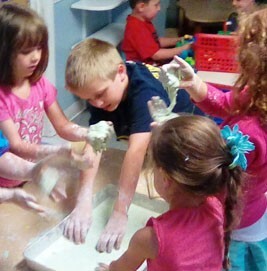 She is creative and not afraid to explore and get messy! Amy lives in Bow and is married with two grown boys that teach in Japan and a step daughter that is now a Speech Pathologist. Amy owned and operated her own center in Derry, New Hampshire for infants through the age of 8. She has had many roles over the years as owner, director, special ed assistant, school coordinator…however her favorite is teaching preschool. Katelyn lives in Deerfield, New Hampshire with her parents and dog. She attended New Hampshire Technical Institute in the fall of 2015 for Criminal Justice, and plans to finish in the summer of 2019, majoring in Criminal Justice. She has worked with children since she was 15 years old, from private nannying to settling into a daycare. She has a strong passion for working with children and sharing her knowledge and skills with all of the children. She enjoys spending her time hiking, working on fitness skills, going on road trips, and spending time with her nephews.